Bring Your Own Device (BYOD) issues – they’re likely giving you trouble. Here are some suggestions for addressing your clients’ most pressing concerns. 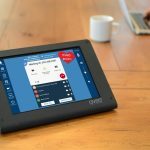 At Enterprise Connect 2019 and a year after Plantronics acquired Polycom, the brands relaunch as Poly. Instructors and school technology administrators have enough challenges without dealing with poor touch panel performance and managing content. 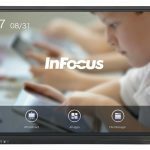 So InFocus JTouch addresses common classroom tech pain points. 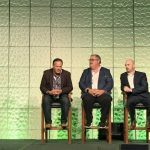 Exploring how and why collaboration became the most important factor in pro AV – and how to deliver the solution successfully. 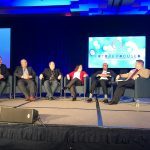 Why Don’t More AV Industry Conferences Incorporate Virtual Attendees? 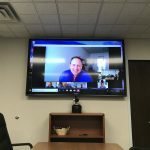 PSNI Supersummit harnessed social media and videoconferencing to allow people who couldn’t make it to the event to participate from their living rooms. Integration firm Vistacom will offer American Institute of Architects (AIA) members continuing education credits with a newly accredited course worth 1.5 learning units. 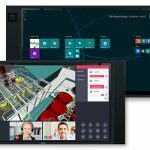 Mira Connect touch panel and smart control appliance now brings Zoom Rooms control and room equipment control to users of Zoom Rooms software-defined video codecs. NSCA executive director Chuck Wilson gave up his Christmas vacation to test the association’s labor installation standard. Here’s how it went. 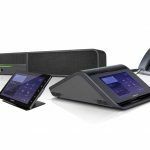 NEC Display Solutions of America’s NEC InfinityBoard® is a flexible, scalable, all-in-one collaboration solution that’s easy to use and helps organizations evolve their team collaboration.